I love looking back at the past year as a whole because it gives me a chance to see at a glance all our combined activities and experiences, and feel gratitude for what we were able to do during the year. This year especially, I’m feeling some surprise and awe for all the incredible experiences we’ve had and the achievements we’ve realized. In this post, I’m going to summarize some of the highlights from our 2017, including our family travels, mindset shifts, and accomplishments we’re proud of and excited about. After 9 years of traveling around the world, we felt ready to plant some roots somewhere for a longer period of time. 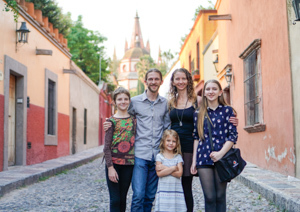 And we were so happy to have found in San Miguel de Allende a fantastic and friendly community, in a beautiful culture, with great weather, delicious food, an artistic and creative feel, and a relatively low cost of living. We spent the first few months of the year there recovering from sickness we caught in Utah over Christmas, but also considering whether we wanted to actually plant ourselves here or not. We began looking at houses, and we found one we wanted to buy on the day before we left. It’s a cozy house in a convenient location, walkable to everything in the center. We signed the papers and our realtor took care of the transaction while we were away. We’ve since come back and done some renovation and refurnishing to make it a more comfortable place for our family, and also a lovely vacation rental when we’re away. 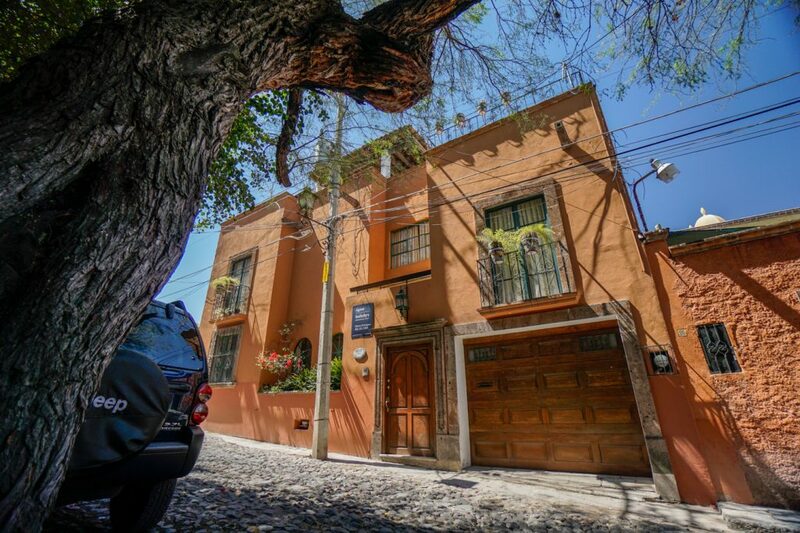 If you’d like to stay here when you visit San Miguel, you can book it on Airbnb here. For a couple weeks in March, we visited Jen’s step-sister’s family in San Diego and had fun and great conversations together. The kids stayed with them for a few days while Jen and I attended High Performance Academy with some friends and colleagues we’d invited. It was an awesome, high-energy event, and inspired us to live more fully, and to make our own Family Adventure Summit event even better. While in San Diego, I also recorded some video interviews with some customers from my Music Teacher’s Helper and Studio Helper businesses. And we explored the Anza-Borrego Desert State Park. 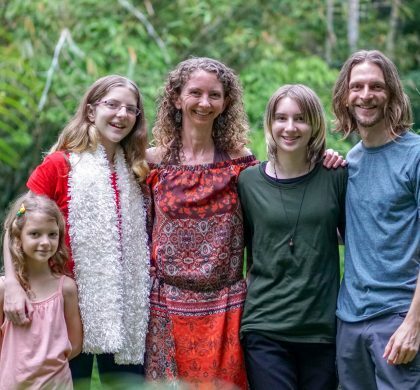 In April, we visited Playa del Carmen and Merida, Mexico, where we played in cenotes, visited old ruins like Tulum and Chichen Itza, and attended the Project Worldschool Family Summit in Merida, Mexico where we were also speakers. We made several new friends at this time, some of whom have become partners in some exciting new ventures we’re exploring. It was here that we developed our ideas for a documentary about the family travel movement, and joined forces with the Kaponay and Robbins family (and later, the Oakley’s) to create a film that’s now in production, called Into the Wind. Be sure to check out the teaser trailer! 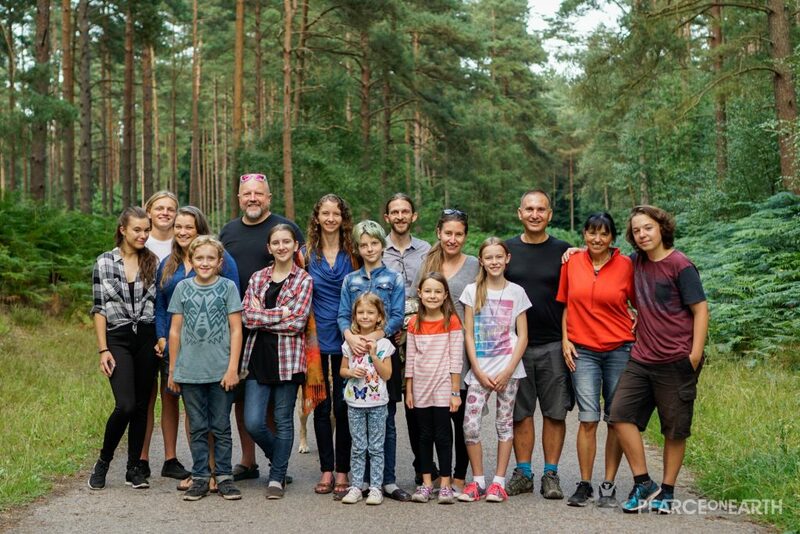 We also began working with the Kaponays on an immersive family retreat we’re holding in Romania in the summer of 2018. In June, we went back to our home in Bali, where my parents and brother came to visit. We had a lot of fun showing them around Ubud. 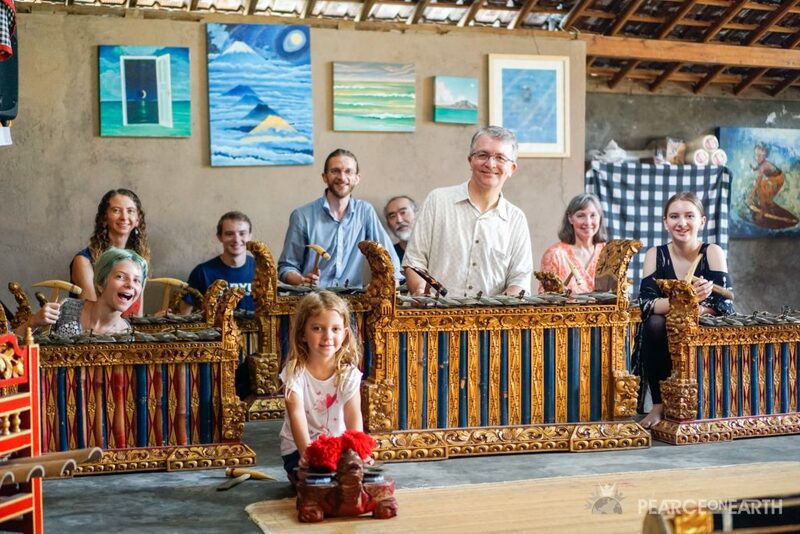 We took Gamelan lessons together, saw a Kecak dance, visited the water temple, extensive rice terraces, the beach, and enjoyed many unique and connecting experiences together. 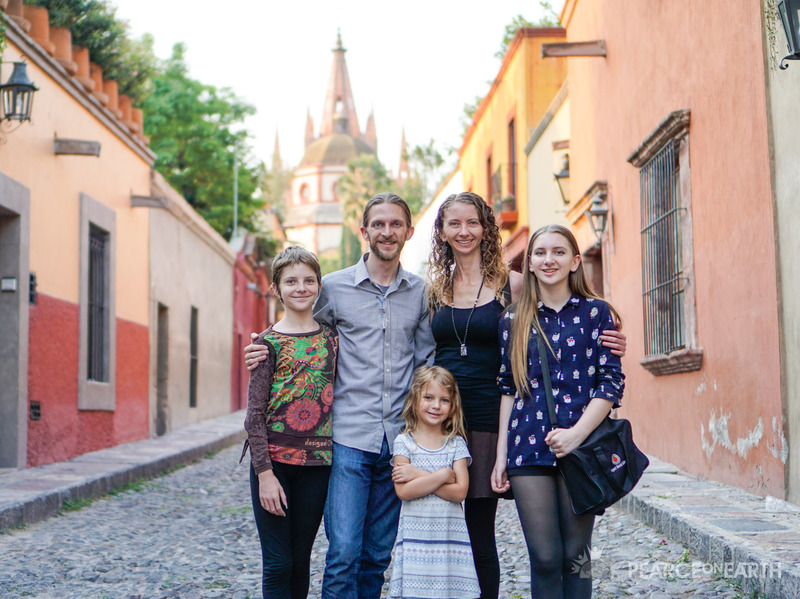 In July, we began more European adventures, starting with a few days in Scotland where we met up with the McCabe family who have become good friends and are now here with us in San Miguel de Allende. After that, we enjoyed meeting with our documentary team in Southern England to hash out more details, focus, and create a timeline for the film. We then stayed with our friends, the Clarks, in the Southern UK, where Emily and Ben recorded a few songs and made a music video. Then we visited new friends in Belgium (Nina and Dee) who showed us around so graciously (yes, I loved the waffles! ), old friends in Denmark (Marie was so excited to spend more time with her friend, Ayisha), and ending with a 1-week road trip through Sweden, where we met Derry who invited us to stay with her and gave us a good introduction to the Baha’i faith. We had an absolutely epic Family Adventure Summit! 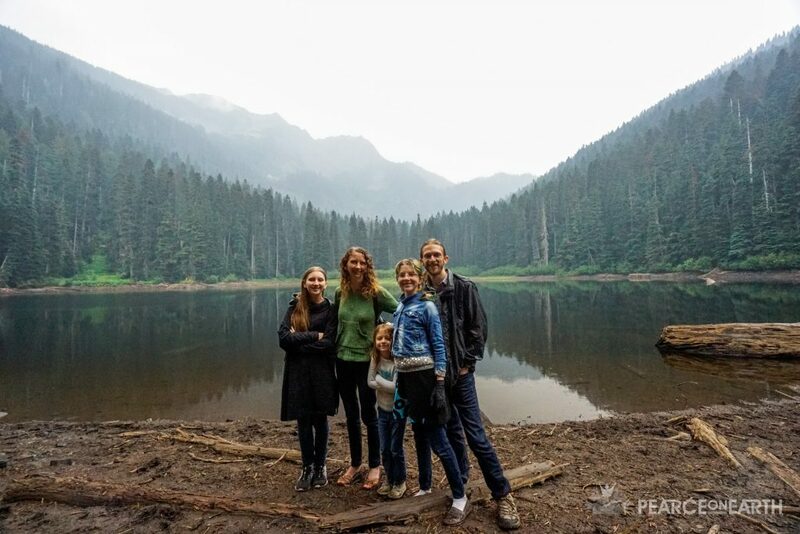 We headed to Penticton, BC, Canada to hold our first annual Family Adventure Summit. We had worked so hard to put this event on and I was so pleased that it turned out to be every bit as inspiring and incredible as we hoped it would be. It was the highlight of the year for me! 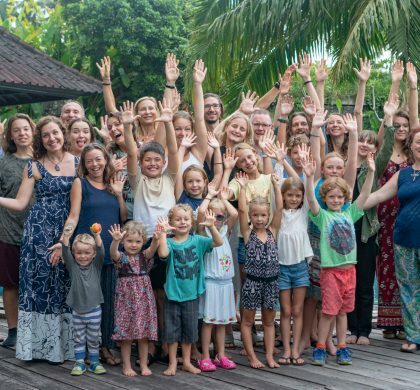 Two hundred people came to celebrate and connect around topics like long-term travel, location independence, alternative education, relationships and community, and more. The energy was palpable, the people were amazing, the information shared was useful. The kids were engaged in over 40 fun and educational activities. The video above shows you how much the families who attended benefited, and 74% of our 2017 attendees booked for next year before the conference even ended! I feel so blessed to have been able to put this event on and to be encouraging so many families to live their dreams and connect with each other. 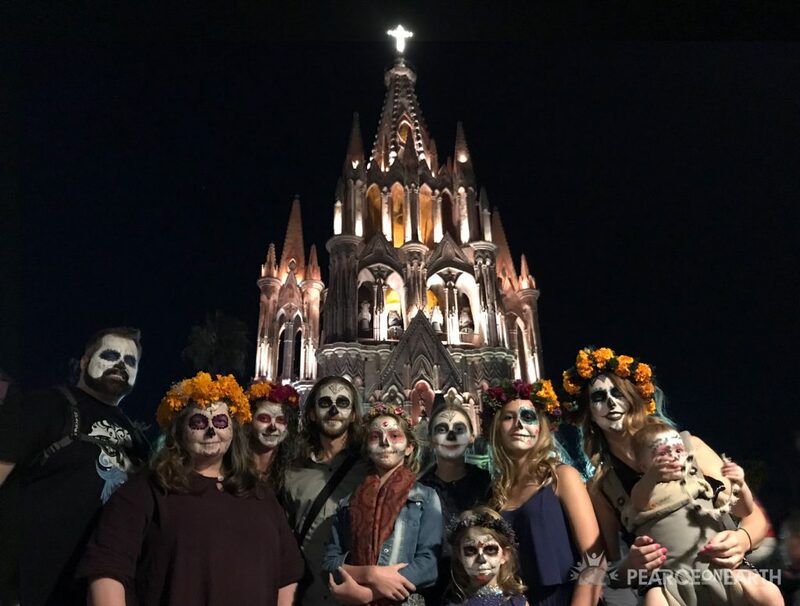 This year, we’re excited to hold the event in San Miguel de Allende, Mexico, over Day of the Dead! We already have more people booked for this year than attended last year, and it’s still 10 months away! We expect to have almost double the numbers we had last year, up to 400 people. So much fun! We knew after so much travel and socializing that we’d need some down time. So we booked a small cottage in the woods near Leavenworth, Washington, where we chilled out for a couple weeks, going on hikes, playing tetherball at a nearby park, and roasting marshmallows over the outdoor fire. I also finished up our family photo book for 2016 with mixbook.com. Around this time, we also spent an enjoyable week or so with my mom in Everett, Washington. Besides needing some family down time, Jen and I also wanted more time with just the two of us, so we left our kids with my mom (thanks, Mom!) and went on a couples trip to Vermont to see the beautiful colored leaves and enjoy some alone time together. 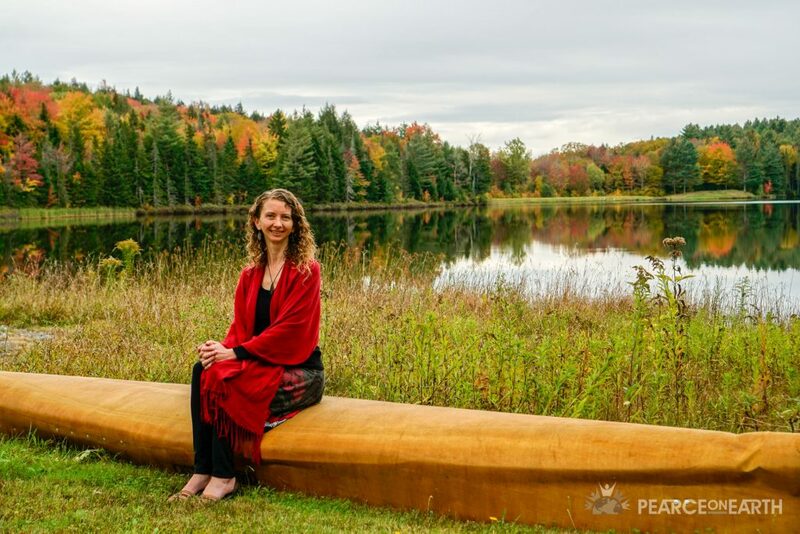 We fell in love with the peacefulness of Vermont. Rolling hills of colored leaves without a single billboard, charming small towns with friendly and engaging people, a culture of education and reading. 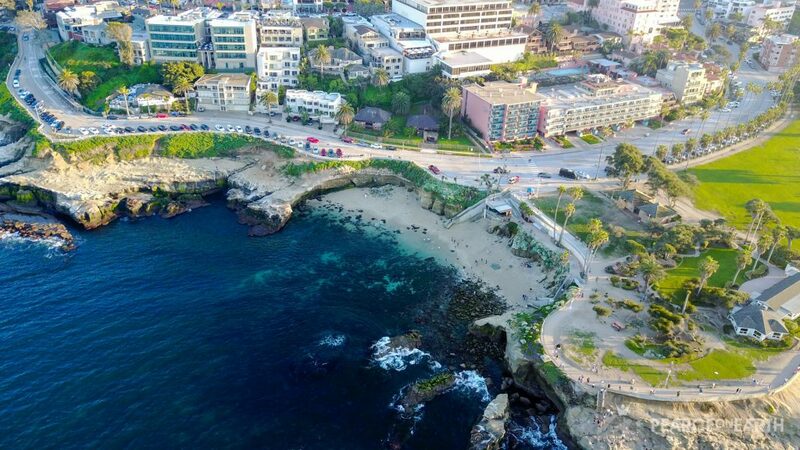 (But very high property taxes and freezing cold winter weather.) Jen and I connected over many long and deep conversations, peaceful walks and drives, time reading alone and together, and staying away from our electronics. We’re so glad we took this opportunity. After that, we headed back to our home town of Salt Lake City to visit extended family. 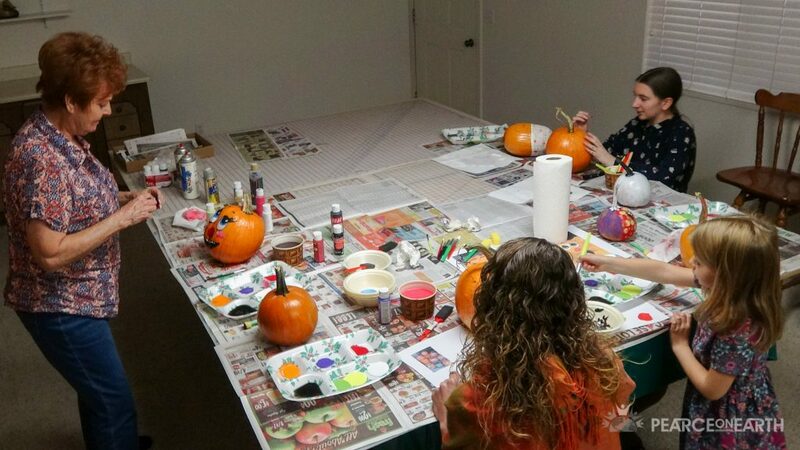 It was good to spend time with them again and we planned a few fun activities together (such as the above pumpkin painting with Grandma). We also cleared out all our storage from my sister’s basement, the remainder of our pre-travel possessions. We threw away and donated a lot, and shipped the rest (4 boxes) to our house in Mexico, along with one suitcase we filled. 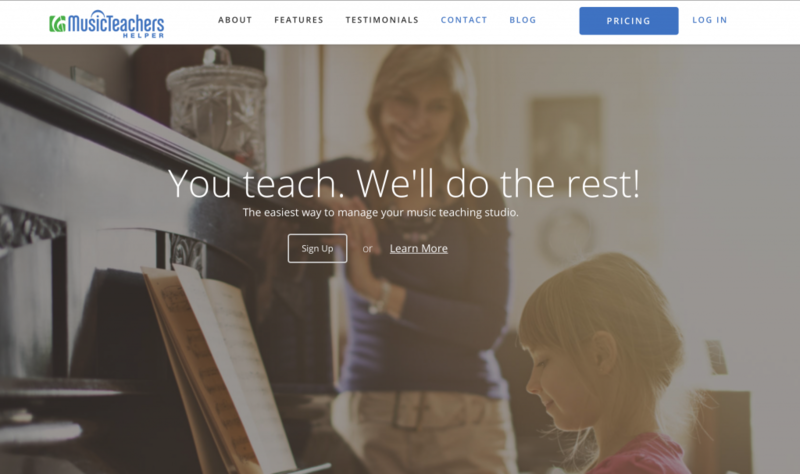 My Music Teacher’s Helper business has changed a lot this year. We launched a new front-end website, and we’ve been streamlining our systems and processes internally. We let go of a lot of staff, shifted some responsibilities around, and hired other skilled workers. And I’ve learned some things about leadership and company culture. The biggest change is probably that we no longer have an in-house development team (except for one person), but have instead hired a talented development agency which gives us a larger vetted talent pool to choose from as we continue updating our website and mobile apps. We’re currently working through a complete rewrite of the code that underlies our system, which will be a huge boost to the quality of our product and our efficiency. Over Halloween and Day of the Dead, my mom and sister’s family came to visit. We enjoyed showing them around this beautiful town and celebrating the holidays together. Others of our traveling friends also spent significant time here including the Sztupovskys, the Lewises, and the Kortmans, whom we shared many meals with (including a traditional Thanksgiving). Later, the McCabes came, as well as several other people we’ve spent more brief time with. The Lewises live just a 7-minute walk away and our kids are regularly going back and forth to play, or for sleepovers. We celebrated Christmas with traditional Mexican posadas, a singalong party, and a small Christmas Eve gathering at our house with friends. We love having so many great friends here in this community. In December, I committed myself to launching my first online course, and spent nearly all my free time in December finishing it up. 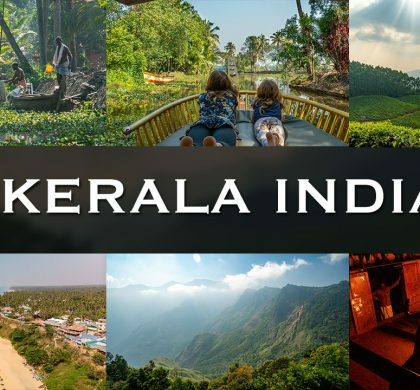 I launched it at the beginning of January, after just one month of hustling, and have received wonderful reviews from people who have purchased it. 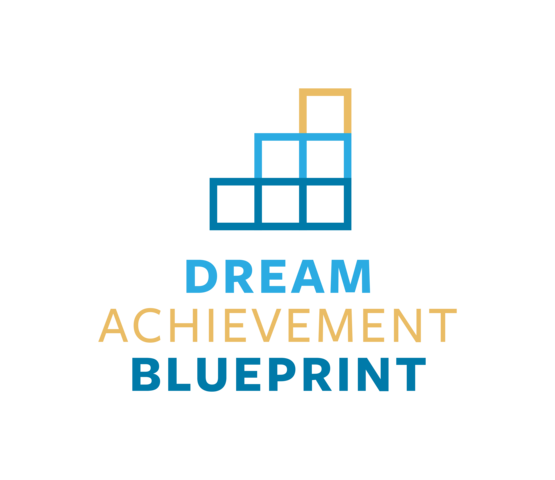 It’s called the Dream Achievement Blueprint, and in it, I help you achieve your dreams through three separate training modules, along with several worksheets and tutorial videos where I walk you through exactly how I achieve my biggest dreams, and stay motivated and focused while enjoying the process along the way. In the first module, I help you gain clarity on what you want to create in your life. In the second, I share the practices, skills, and tools I use to optimize my productivity. And in the third, we talk about taking action, and doing so in a way that keeps a balance so you can enjoy the process AND the result, rather than reaching your goal and then quickly feeling unsatisfied again. 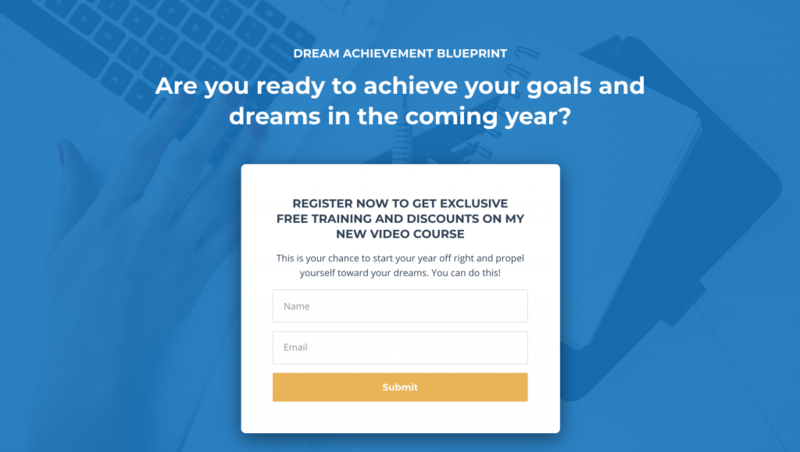 This is the exact system I use to achieve my dreams, from creating my businesses, traveling the world with my family, creating the Family Adventure Summit, and even launching this course in one month. Jen also became certified for the second time with Brendon Burchard as a High Performance Coach and has been enjoying coaching her clients to obtain deeper insights into their lives, while developing habits that bring consistent performance improvements. If you’re interested in learning more, please contact Jen for more info. Our daughter Emily (age 14) has been working all year on an animation for a music video to a song she wrote. She wanted to do it in traditional 2D style, which would require her to draw 5500 separate images. She planned how long it would take her and worked very hard to finish a draft by the end of the year. And it’s so beautiful! It makes me cry. She’s not ready to release it publicly yet, as it’s still in rough form and she wants to clean it up and color it. But it’s an amazing achievement and I’m really proud of her for doing it. Emily also got her first part-time job at a decent wage doing video editing for a popular kids YouTube vlogger. Meanwhile, Marie (age 12) continues to develop her video editing skills. She puts out regular videos on her YouTube channel, Jamnastics and has now over 870 subscribers. She’s also become an excellent juggler and read the entire Warrior cats book series for the second time. She took regular horseback riding lessons this year and is now learning silks and circus skills at a place called Gravity Works. 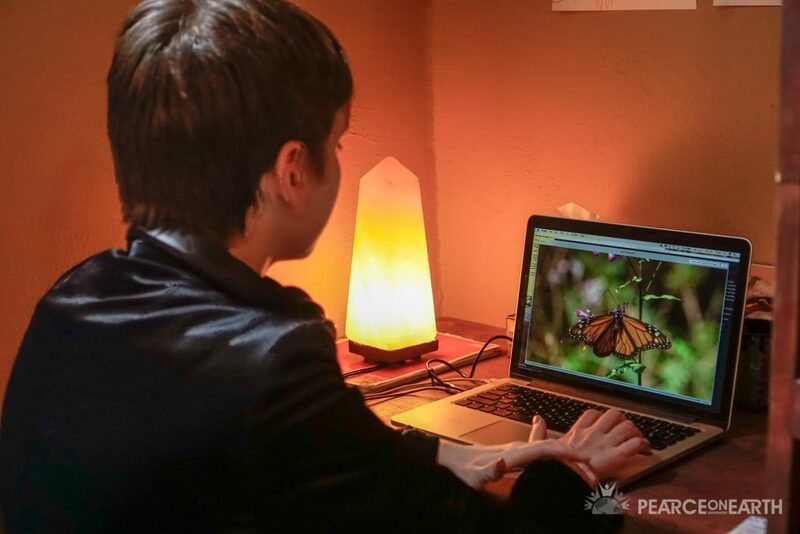 Check out our Worldschooling page to learn more about our interest-led learning approach to education. It’s been such an amazing year for us, and I look back in utter gratitude and awe for all we were able to experience, accomplish, and feel. This post gives a little sampling of that. And as I like to say, no matter how amazing our life is, it just keeps getting better and better. So I’m looking forward to an even more fulfilling, connecting, and amazing 2018! How about you?